In a world first study researchers have found that coral bleaching and death can have dramatic repercussions for how small reef fish learn about and avoid predators. The new results are published in the journal Proceedings of the Royal Society B.
Coral reefs are extremely rich ecosystems, providing homes to hundreds of thousands of animals. There are many stresses on coral reefs globally and places that used to be beautiful coral gardens are now instead littered with dead coral skeletons covered in algae. These habitat changes influence how animals that live there interact. 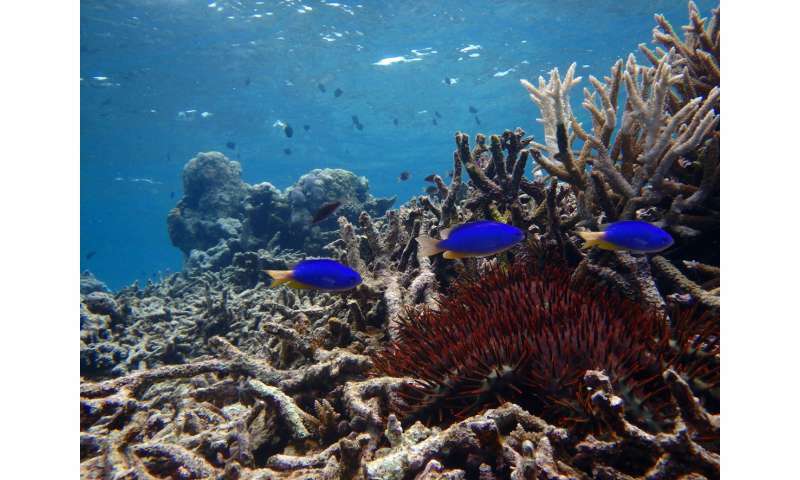 The current study, published in Proceedings of the Royal Society B found that coral death and degradation affects how a common damselfish responds to the tell-tale chemicals that indicate the presence of hungry predators. 'Baby fish use chemical alarm signals released from the skin of attacked individuals to learn the identity of new predators. By pairing the alarm cue from their wounded buddy with the smell or sight of the responsible predator, fish are able to learn which individuals are dangerous and should be avoided in the future', says Professor Mark McCormick who studies coral reef fish at James Cook University. 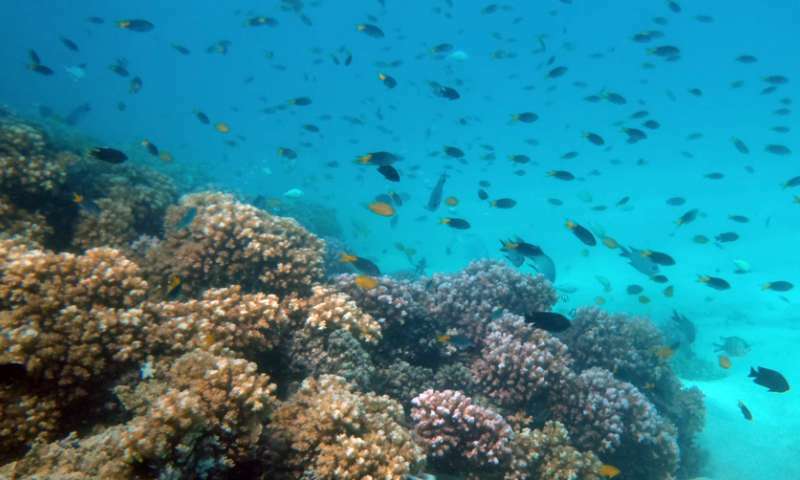 However, when corals die and become covered in algae the olfactory landscape of the reef seems to change, which affects this crucial learning mechanism used by fish. Indeed, the Australian-Swedish research team found that the smell of an injured mate paired with a predator taught a habitat generalist (the ambon damselfish) to learn to avoid new predators when on live coral, while their counterparts on dead coral didn't respond to or learn any predator cues. Interestingly, another species which is only found living on dead coral was able to learn the identity of a novel predator using chemical alarm cues regardless of if the coral was dead or live. 'If the process of cataloguing and avoiding predators is hindered in some species by coral degradation and loss, then much of the diversity of reef fish could be lost too. Many reef fish need specific habitats that only healthy coral reefs can provide', says Dr. Oona Lönnstedt, a researcher in marine biology at Uppsala University. The Great Barrier Reef is currently experiencing the worst mass coral bleaching event in its history and coral cover on the majority of reefs is declining sharply the two researchers say. 'If dead coral masks key chemical signals used to learn new predators, the replenishment of reefs could be seriously threatened', says Dr. Oona Lönnstedt.